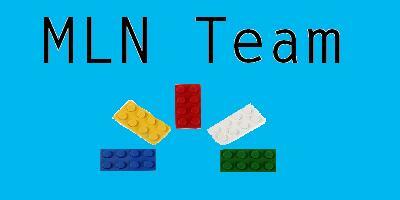 That's right, I said MLN, not Lego. This topic is about why we all came here in the first place, why we stay, why we feel we should leave and everything in between. Before I even begin to explain, I must say this, "to each their own", which simply means that this topic is about sharing with each other how we truly feel about MLN. I won't be judging this one. You see, I'm R10, featured as well and still very active, I love the game, I feel like sometimes that I feel there is something more to it, because it gave me all of you, so I continue to play and hold Auctions, poem contests, building contests, conversations and what have you? Here in MLN Team, as well as in MLNO. Is there life after rank 10? Only if you enjoy playing a trade game, talking to people all over the world, making new friends, forming bonds that will last a lifetime, and all focused and derived from a building brick, that's just too cool in my books, and that's why I continue to play. I'll never be finished meeting cool new Brickers, this has become my life, I'm proud to say. What do you Brickers think? Nice! Well, I probably won't be actively playing MLN after I reach R10. I will run my shop though, to help out other people. I love meeting other LEGO fans — I have several good friends in the community! Well MLN wasn't the starting point for me it was LMBs and Club Pages. MLN well what can I say I'm a person who gives 100% to everything I do. Well I'm doing that with MLN R7 and 210 hit singles will get to R8. If I was to reach R10 I would still go on it it's a great way to talk to each other in LU alpha test I made 4 new friends so we gave each others MLN name and now we are all friends on MLN. Another thing is I run a store though it may be closed it will re-open when I'm back after vacation and have enough bricks to open again. One thing that IS NOT nice about MLN is the 100 friend limit, there isn't anyway limit of firends the one thing I hate doing is saying no to a lower or higher rank person. Well now that rank 11 will come out soon... it will be totally different. I cant imagine how many MLN users will come out of retirement! TheRoddy15 wrote: Well MLN wasn't the starting point for me it was LMBs and Club Pages. MLN well what can I say I'm a person who gives 100% to everything I do. Well I'm doing that with MLN R7 and 210 hit singles will get to R8. If I was to reach R10 I would still go on it it's a great way to talk to each other in LU alpha test I made 4 new friends so we gave each others MLN name and now we are all friends on MLN. Another thing is I run a store though it may be closed it will re-open when I'm back after vacation and have enough bricks to open again. One thing that IS NOT nice about MLN is the 100 friend limit, there isn't anyway limit of firends the one thing I hate doing is saying no to a lower or higher rank person. Darth-legoman wrote: Well now that rank 11 will come out soon... it will be totally different. Great point, wonder just how many? MLN is just a cool game which I enjoy to play during my chill out time. I hope Rank 11 will come out this year so I can carry on! Crackers5 wrote: Nice! Well, I probably won't be actively playing MLN after I reach R10. I will run my shop though, to help out other people. I love meeting other LEGO fans — I have several good friends in the community! Well said Crackers I agree. I have been playing ever since early 2009 Right now I am rank 9 I hope I can get to R10 soon and before 11 comes out... If there is a 11.
well even if rank 11 comes out what if somebody comepletes rank 11 and wants rank 12 then it would be dark years of rank 11.
true, they could possibly make it really hard and when they finish it rank 12 will be coming out! I never really quit MLN. I still play it occasionally. However, I mainly focus on MLN Team nowadays, this wonderful community. I'm proud to be a member of this forum. I haven't gone onto MLN in a long time.